How New Foods Happen - Or Not! 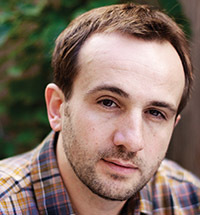 Josh Schonwald is an award-winning journalist and author of The Taste of Tomorrow: Dispatches from the Future of Food (HarperCollins), a critically acclaimed look at the people, trends, and technologies that could change the foods we eat. A veteran journalist with a terrific storytelling-style and a wry sense of humor, Schonwald has written for The New York Times, The Wall Street Journal, Washington Post, Slate, Salon, and many other publications. Schonwald's provocative presentations weave together insights, personal stories, scientific research, culinary history, and predictions gleaned from his more than three-year exploration of the world of food innovation. Schonwald's journey to discover what the "salad, meat, seafood, and pad Thai of the future" might look like took him across the country and into farms and labs around the globe. 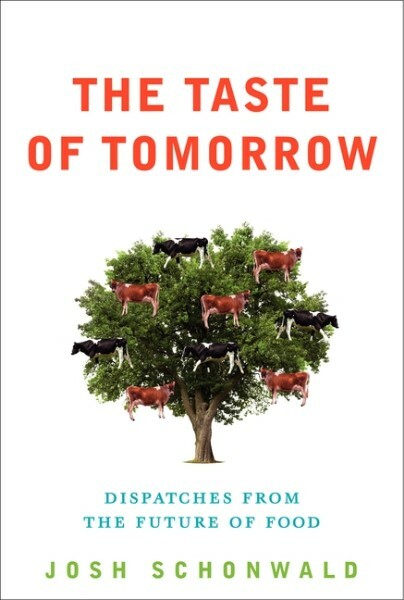 From Alice Waters's microfarm to a Pentagon facility that has quietly shaped the American supermarket, Schonwald's presentations provide a rare behind-the-scenes glimpse at what we eat today -- and what we'll be eating tomorrow. In his lively and fascinating speeches, Schonwald explains how new foods happen; why some foods explode on the scene virtually overnight while others take decades -- and countless failures -- to catch on. And he doesn't shy away from controversy: Schonwald ultimately comes out on the side of emerging scientific breakthroughs in the field -- genetic engineering, nanotechnology, food processing -- to feed the globe's exploding (and hungry) population. A graduate of Macalester College and Columbia University's Graduate School of Journalism, Schonwald lives in Evanston, Illinois with his wife, children, and indoor aquaponic system. "[Schonwald] has come up with a great deal of interesting information, much of which will surprise people who eat food without giving much thought to where it comes from." "This is a fun book...Schonwald has the talent to explain serious, complicated issues in ways the average reader will understand. He does it in an entertaining, often irreverent way that keeps you turning the pages...a provocative book." "Schonwald is a good-natured and curious guide whose lightness of touch keeps you reading. A non-foodie at the start, he grows into his quest, championing sustainable, local and even genetically modified food to help feed the world."